The Door Monkey protects your little monkeys from the harm of slamming doors and the dangers that lurk within your home. 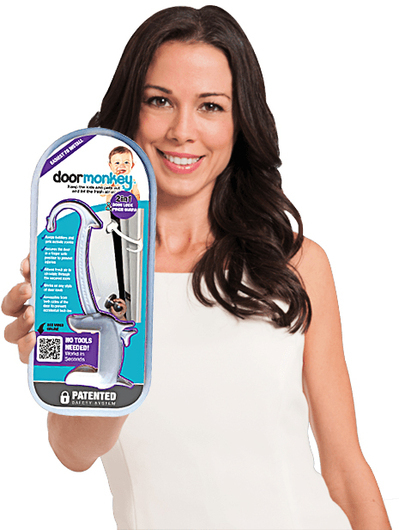 The Door Monkey is a new innovative product to safeguard little fingers from the potential dangers of a slammed door. Where the product differs to traditional door stops and door wedges, is that this product fits into the door frame, to also keep the door slightly ajar to provide ventilation around the house, whilst keeping rooms out of bounds to curious little people. The Door Monkey can work as either a pinch guard or as a door lock, both ways of use working to safeguard your children whilst at home. 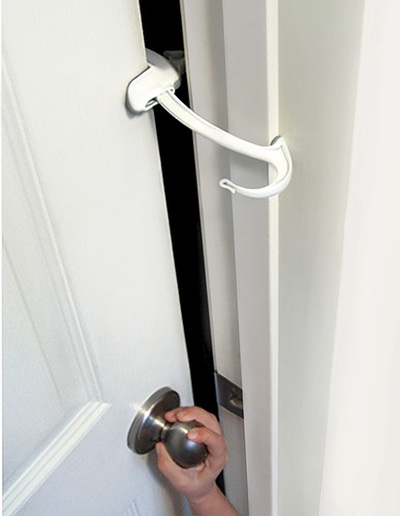 It fits onto the existing door frame within seconds and with no special installation required. The rubber inside of the Door Monkey protects the finish of your door, and once fitted, the latch works around the existing standard door frame which it catches onto to provide a secure lock that keeps the room ventilated, but keeps little fingers out. In addition to being used as a safety product, you can also use this product to maintain privacy of rooms and to stop younger siblings from going into older siblings bedrooms. You could even use it to stop pets getting into certain rooms. On a hot day, the last thing that you want to do is close all the doors in your home; so finally the Door Monkey allows you to keep your house breezy and fresh, but also keep your family safe. Priced at $14.95, this is the door safety product that you can take with you when visiting friends or when going on holiday. Check here for stockist information. Arrow Season 2, Thumbs up or Thumbs Down?